Considering the sport of cycling’s most important competition recently lost nine years of history to doping scandals, you would think they would look celebrate a genuine hero from their past, but Italian champion Gino Bartali’s clandestine efforts to save Italian Jewry remain largely unsung. He was not alone in his secret defiance. Eighty percent of Jews in wartime Italy survived thanks to Bartli and a host of like-minded Italians. Oren Jacoby profiles many of Italy’s righteous and the grown survivors they helped save in My Italian Secret (trailer here), which opens this Friday in New York. Mussolini had been firmly entrenched in power since the 1920s, but the Holocaust was slow in reaching Italy. Yes, anti-Semitic laws were passed, but anti-Semitism never really caught on as an ideology. It was not until the German occupation that deportations started in earnest. Of course, there were more than enough Fascists willing to collaborate, but not Bartali. The Fascists did there level best to coop Bartali as a symbol of Italian physical supremacy, but the cyclist refused to participate in their propaganda. Fortunately, his standing as Italy’s preeminent sportsman granted him certain liberties, such as an excuse for long distance bike runs. 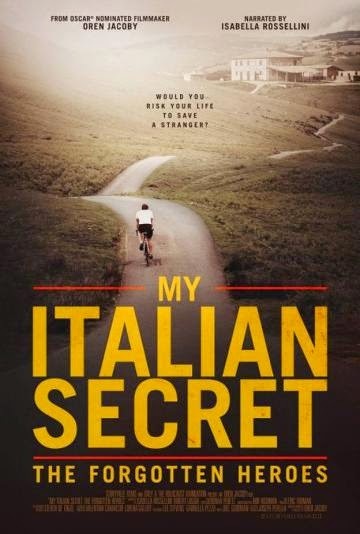 Soon, Bartali was shuttling counterfeited documents provided by the Catholic Church to Jews in hiding. Bartali further risked his neck by sheltering a Jewish family in his own home. Frankly, it is quite eye-opening to see the bourgeoisie or even privileged status of so many of the Italian Righteous, given the carefully romanticized proletariat image of the resistance. Granted, Bartali came from rugged smallholding farm stock, but Marchesa Gallo did not. Yet, she sheltered numerous Jewish families in her grand palazzo. Likewise, Dr. Giovanni Borromeo was a man of considerable position, who ran tremendous risks operating his special “K” wing, where he hid Jewish fugitives supposedly infected with the nonexistent “K” disease. Jacoby also makes it crystal clear how deeply involved the Catholic Church was in rescue efforts. In fact, it was the Archbishop of Florence who recruited Bartali in the first place. Jacoby uses the tried and true methods of documentary filmmaking, to good effect. He sparingly employs recreations, but incorporates plenty of archival photos and video. However, the most dramatic sequences by far capture the heartfelt meetings between the survivors (now of advanced years) and the children of their protectors. The Hot Club soundtrack selections are also quite pleasant. Frankly, it is strange more of these incidents have not been more widely reported, especially given Italy’s remarkable high Jewish survival rate. 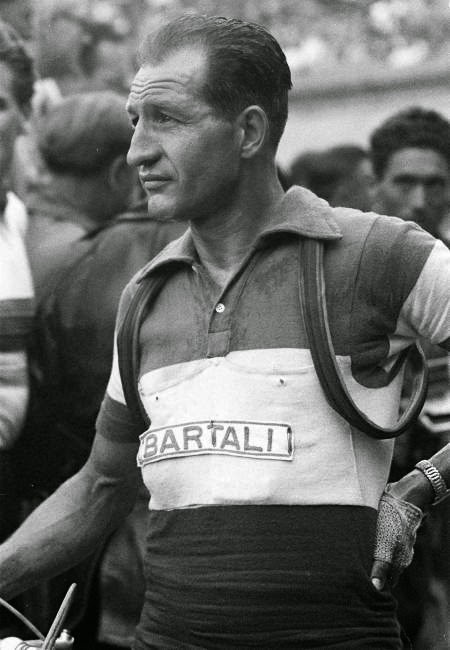 However, Bartali was characteristically modest about his actions. Fortunately, he now has Oscar nominated actor Robert Loggia to literally speak for him. Jaded viewers might think they more or less know the trajectory of its collected stories and perhaps they do, but the details are unusually rich. Secret also helps counteract the ideologically-driven smearing of the WWII-era Church and Pope Pius XII, complimenting recent scholarship, like Rabbi David Dalin’s The Myth of Hitler’s Pope. Recommended for general audiences and especially students, My Italian Secret opens this Friday (3/23) in New York at the Cinema Village.